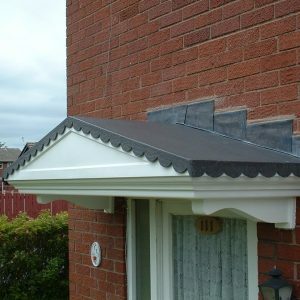 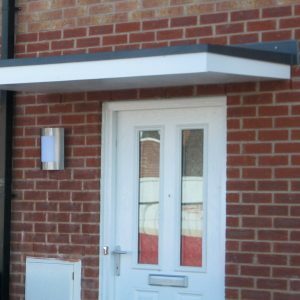 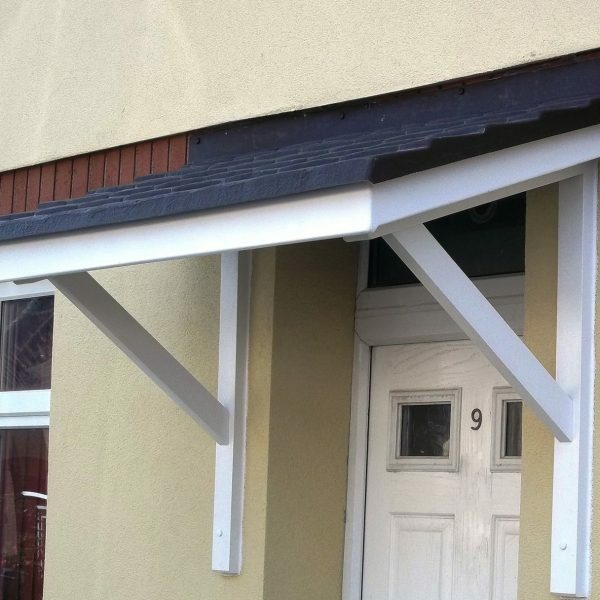 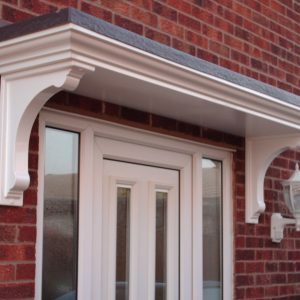 The Medway door canopy combines traditional styling with its simple solid structure, and is available with a 0.75m projection and a multitude of widths to suit any entrance. 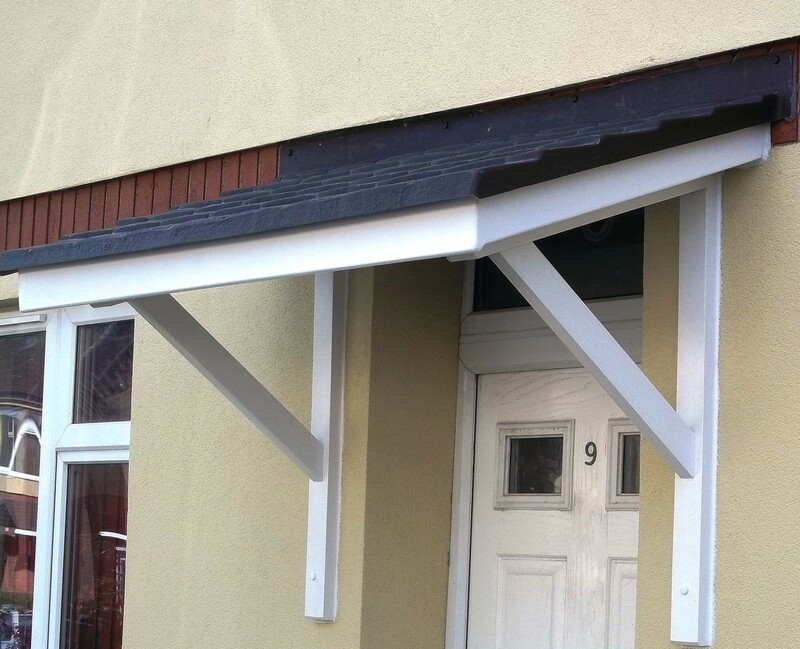 The canopy is easy to install and comes fully assembled with the Gallows bracket included. 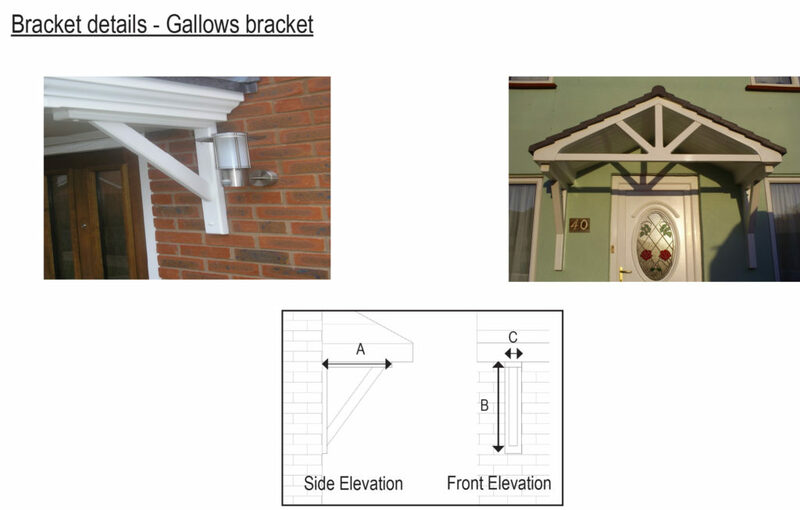 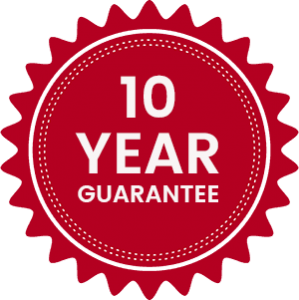 Please Note: These canopies require gallows brackets for additional support (as shown in the image) which are included in the price. 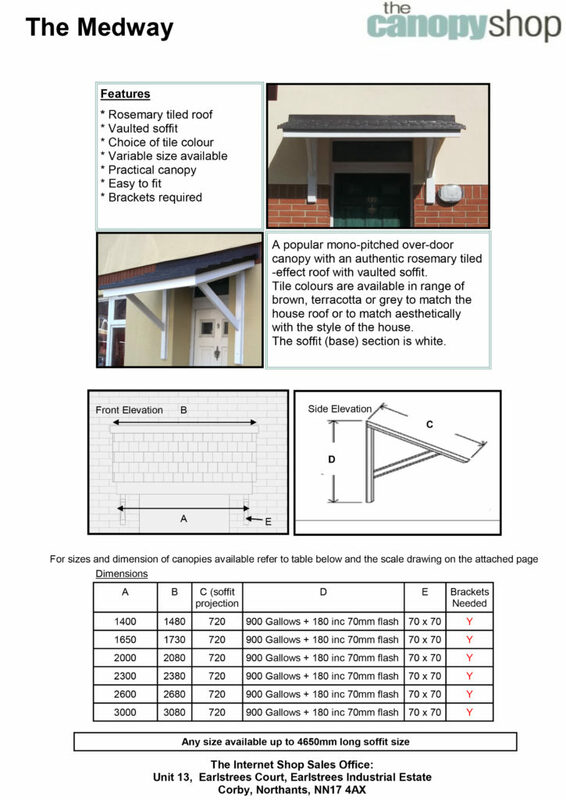 Fixings kit sold separately, please contact us for more details. 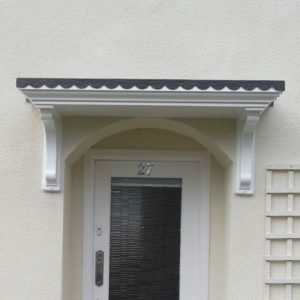 Click here to download our The Medway Overdoor Canopy assembly instructions.